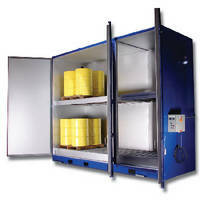 Drum and Tote Oven safely heats hard-to-melt materials. 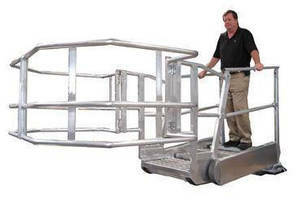 Mezzanine Safety Gate fits into tight spaces. Truck Loading Racks offer protection in extreme environments. 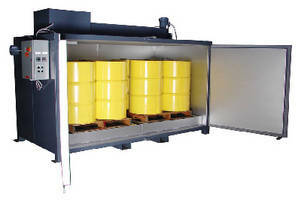 Electric Drum and Tote Heaters feature 8,000 lb capacity. 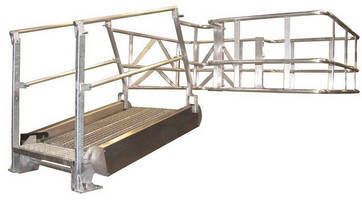 Flat Ramp Gangways offer safe access to any vehicle top. 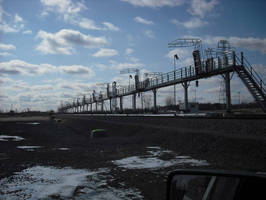 Portable Loading/Unloading Platforms suit shale oil applications. 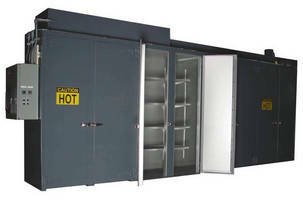 Electric Tote Warming Oven incorporates spill containment. 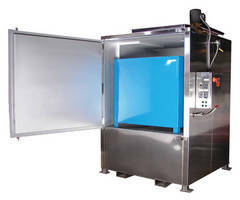 Batch Ovens combine heating and cooling capabilities.